“We like this format,” said Danish String Quartet (DSQ) violinist Rune Tonsgaard Sørenson when I asked him about the group’s upcoming two-night stand in Santa Barbara. “Two concerts in the same place allows us to offer a broader range of material. It means we can open a big window into Danish culture.” The first night’s performance on Tuesday, February 12, will take place in the Santa Barbara Woman’s Club, Rockwood, and is dedicated to the arrangements of Nordic folk music that have made the DSQ enormously popular with listeners all over the world. The second evening, at UCSB’s Campbell Hall on February 13, sees the group returning to the classical repertoire for which it has been nominated for a 2019 Grammy Award in the Chamber Music/Small Ensemble category. In a major programming coup, two of the five nominees in this highly contested category will be performing in Santa Barbara during the week after the Grammy Awards ceremony, both courtesy of UCSB Arts & Lectures. The other is the Boston-based chamber orchestra A Far Cry, which will be at the Music Academy of the West’s Hahn Hall on Friday, February 15. The program on Wednesday reflects the DSQ’s longstanding commitment to bringing the music of Danish composers to a wider audience. After opening with a string quartet by Joseph Haydn, the group will perform works by Hans Abrahamsen and Carl Nielsen, both of which represent distinctly Nordic takes on the classical quartet form. Sørenson said that he particularly appreciates the opportunity to demonstrate “how different a string quartet can sound” from one work or genre to the next. The group has been playing these works for all of 15 years, and as a result, they find deeper textures in them with every performance. Santa Barbara audiences, especially those with an interest in strings, will find this week of programming from UCSB an extraordinary opportunity to take an almost festival level of immersion in the music that they love by the world’s top practitioners. 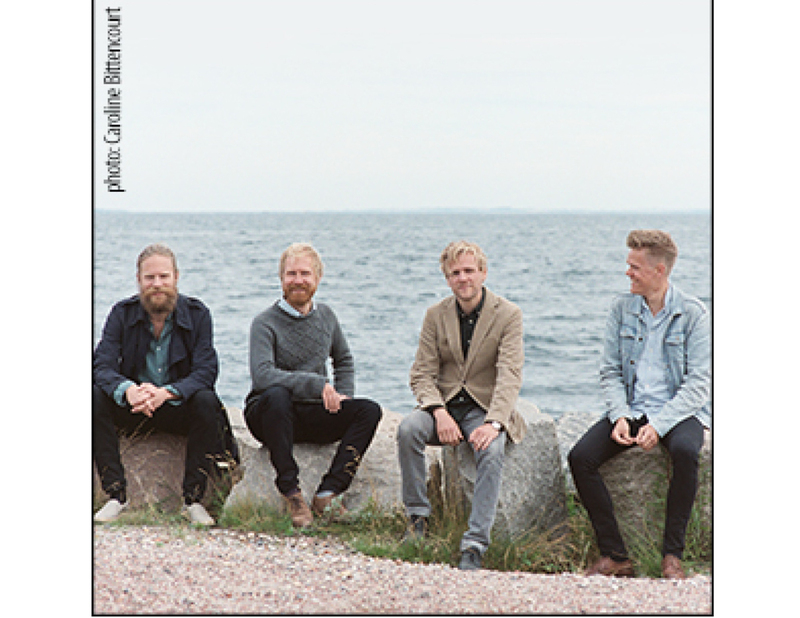 UCSB Arts & Lectures presents the Danish String Quartet 7 p.m. on Tuesday, February 12, at the Santa Barbara Woman’s Club, Rockwood, and again at the same time on Wednesday, February 13, at UCSB’s Campbell Hall. See artsandlectures.ucsb.edu.